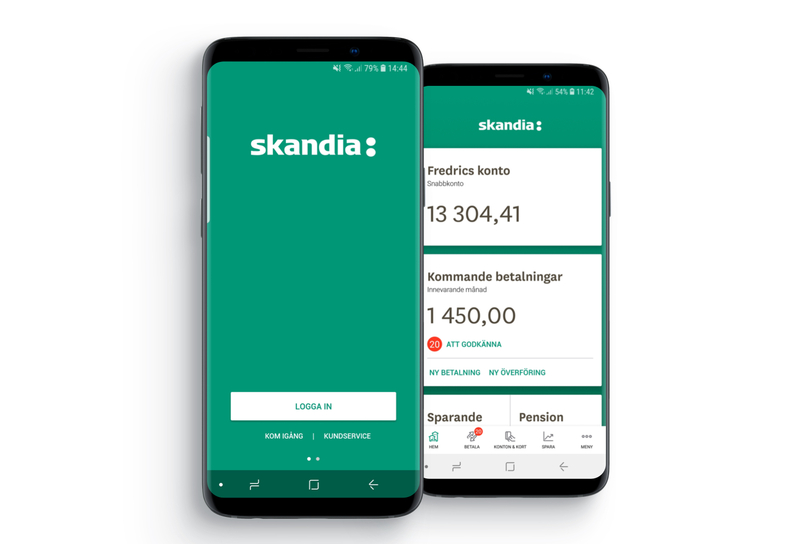 Skandiabanken is the innovative banking branch of Skandia, an independent provider of services for long-term savings and investments. Being an Internet bank where customers can handle all tasks online, the digital customer experience has always been important to Skandiabanken. Smart Refill has developed Skandiabanken’s mobile bank from the very start. Mobilbanken became one of the first mobile banks in Sweden, breaking ground for the future of digital banking. Smart Refill and Skandiabanken’s close collaboration and innovative features such as scanning invoices and quick save paid off: Mobilbanken was awarded the prestigious award Guldmobilen for best mobile bank not once, but twice, in 2012 and 2013. The first version of Mobilbanken contained a limited subset of features. Since then, the number of app users have grown considerably and the overall trend is to give banking customers access to most features of the Internet bank. Smartphones and the Android and iOS platforms also provide opportunities to develop special features particularly suitable for the small screen. Through these changes in trends and technological advances, Smart Refill is a proactive partner to Skandiabanken, acting as an innovation hub. In the latest version of Mobilbanken, the app has been dressed in a new design and boosted with new, customer oriented features. It is available for iOS and Android on App Store or Google Play.